TASTE OF TAIWAN. Din Tai Fung, the Michelin starred Taiwanese restaurant known for its xiao long bao or soup dumplings, finally opened in the Philippines in December 2015. “Every time we open something new, no matter how amazing it's going to be, especially with a brand like Din Tai Fung, we're nervous—we're always wondering if the public is going to accept it,” said Abba Napa, founding partner for creative development of The Moment Group of Restaurants, of the opening of the Michelin-starred Taiwanese restaurant in the Philippines in December 2015. “We really can't ask for anything else, it's been an amazing ride so far—the Filipino diners seem to be embracing the kind of food, the kind of atmosphere that we are trying to bring,” Napa added. But Din Tai Fung’s journey to our shores has been a long one. HUMBLE BEGINNINGS. Din Tai Fung, founded by Yang Bingyi, started out as a retail store selling cooking oil in 1958. Din Tai Fung started its life, oddly enough, as a retail store selling cooking oil in 1958. Its founder, Yang Bingyi, decided to shift gears in 1972 when cooking oil in tin cans came along and hurt his sales. To augment income, Yang and his wife decided to dedicate half of their store space to cooking and selling xiao long bao, or steamed soup dumplings. The dumplings became so popular that Yang stopped selling cooking oil and turned their store space into a fledgling restaurant by the 1980s. Since then, Din Tai Fung has been known the world over for its xiao long bao. In 1993, The New York Times hailed Din Tai Fung as one of the top 10 gourmet restaurants in the world, the only Chinese-run food establishment to receive the award that year. Then, more recently, Din Tai Fung topped The Daily Meal’s “101 Best Restaurants in Asia” list for 2013. Since 2010, a Michelin star has been awarded to Din Tai Fung’s Hong Kong branch, making it a 5-time Michelin star recipient. Din Tai Fung still holds the honor of being the only Taiwanese restaurant that has been awarded a Michelin star. Din Tai Fung's main branch is still in Taiwan, but it has since established 119 branches in 14 countries, including Australia, China, Japan, Singapore, South Korea, the United States, and, more recently, the Philippines. BALLS OF SOUP. 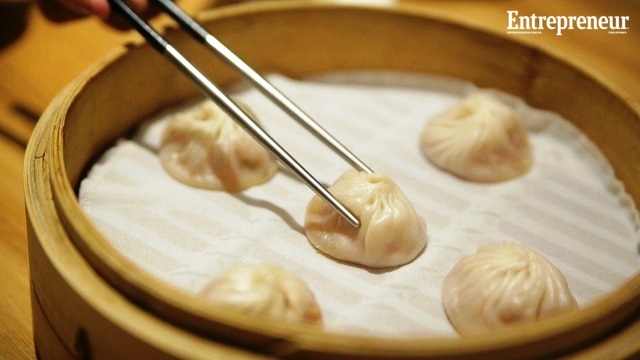 Din Tai Fung has been known the world over for its xiao long bao, or soup dumplings. Din Tai Fung has garnered a reputation as being one of the most difficult franchises to acquire—according to a report published by Forbes magazine in 2011, its headquarters receives and rejects as many as 20 franchise applications a week. “For the past 15 years, there’s been a lot of buzz about some big chain or restaurant operator trying to bring Din Tai Fung in, but none of them succeeded,” recalled Sam Christopher Lim, vice president for marketing and strategy at franchise consultancy Francorp Philippines. That is, until The Moment Group of Restaurants came along. The Moment Group was founded by business partners Eliza Antonino, Abba Napa, and Jon Syjuco, who got together in 2011. “The dining scene was really evolving, and we were being asked to open different kinds of concepts for different developers left and right, so we took that opportunity,” recalled Napa. DUMPLING MASTERS. Din Tai Fung's location in Mega Fashion Hall, SM Megamall has a front kitchen with glass panels, where customers can see its world-famous dumplings being prepared. “It's been good that there's been three of us to share that amazing thing of making all of these restaurants come to life,” Napa added. The Moment Group’s founding partners even went to Taiwan to train for six months, taking on different roles such as waiting on tables and even making xiao long bao, revealed Napa. FOOD HAVEN. While faithful to the brand’s DNA, even using the same number queuing system used by Din Tai Fung in Taiwan, there are some menu items that will be unique to the Philippine market. 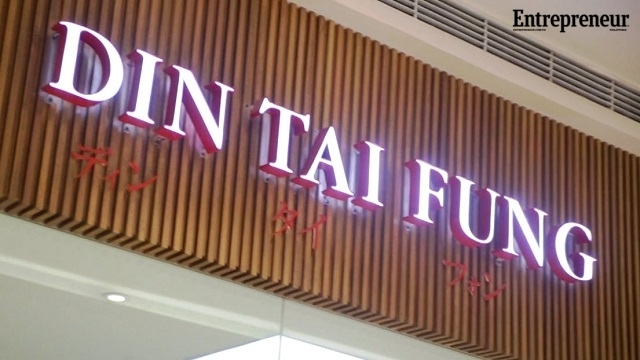 Din Tai Fung’s first branch in the Philippines, located at the Mega Fashion Hall of SM Megamall, boasts of 164 seats and 167 employees. 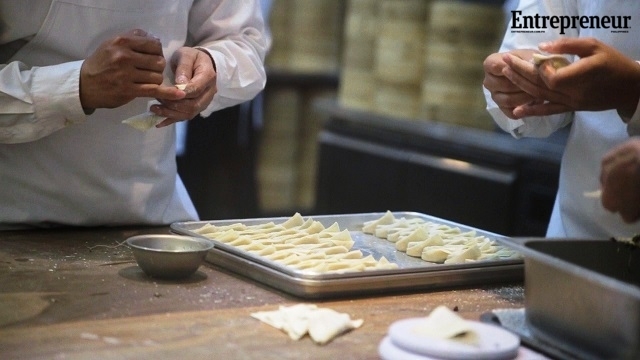 It has a front kitchen with glass panels, where people can see how the dumplings are made; a back kitchen; and a central kitchen to ensure that orders are prepared quickly. 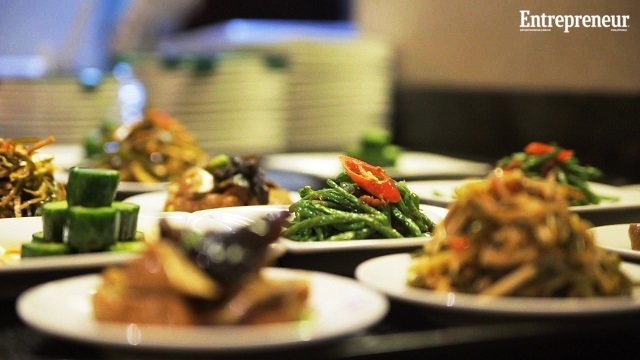 While it is faithful to the brand’s DNA, even using the same number queuing system used by Din Tai Fung in Taiwan, there are some menu items that will be unique to the Philippine market, such as the choco lava dumpling, sweet and sour pork, salted egg yolk prawns, and the crispy beef, among others. “Din Tai Fung is really a global brand, and it's something that has global appeal. It's something that you can have day in and day out—it's an everyday kind of meal that you can constantly crave for and never get tired of eating. That's also what makes it so special,” beamed Napa.